It can be tough deciding what to give your man for Valentine’s Day. Do you want to go silly or sentimental? Is your guy stylish or too tough for trends? The editors of AllFreeeSewing have pulled these perfect present ideas for Valentines Day for you to make your man. If you’re at a loss over what to make the Mr. 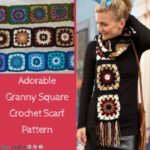 Wonderful in your life, take these five tutorials to the sewing machine and start creating. 1. Mug Rug and Applique Heart Pocket – For the more traditional approach to Valentine’s Day, go with something sweet. This tutorial allows you to get your sewing fix in by creating something absolutely, heart-wrenchingly cute (have you seen the pocket on this project? ), and give something to your man. 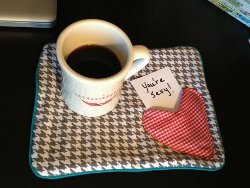 Set the table on V-Day with this mug rug, a sweet note tucked inside the pocket, coffee, and his favorite breakfast food. Doesn’t have to be complicated, just has to be cute. 2. Magic Tie Trick – This simple sewing project can work for the goof-ball or polished professional. A man who appreciates a funny but effective fix to an everyday problem, he’ll be grateful that you went with this DIY idea. Made to keep his tie from falling forward, this easy trick doesn’t damage the quality of your guy’s tie and won’t take you long to do. Sounds like a win-win! 3. 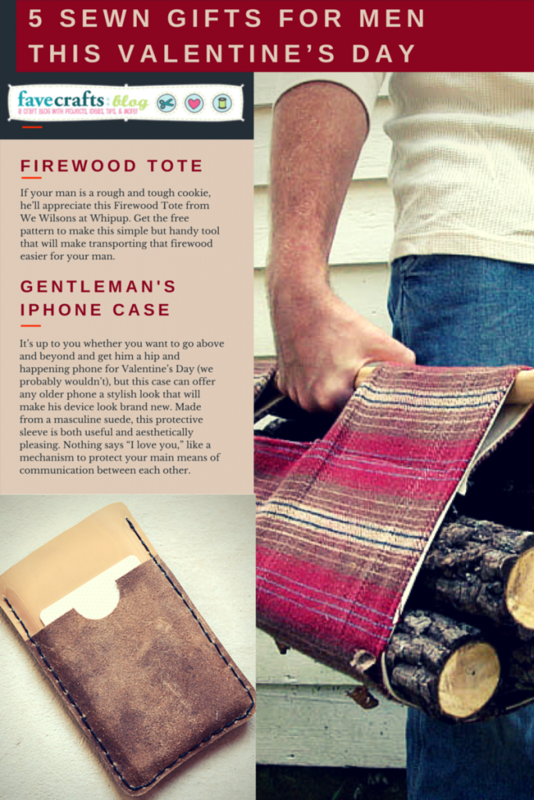 Firewood Tote – If your man is a rough and tough cookie, he’ll appreciate this Firewood Tote from We Wilsons at Whipup. 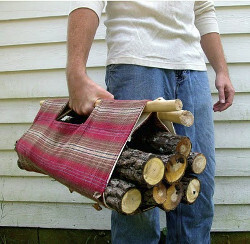 Get the free pattern to make this simple but handy tool that will make transporting that firewood easier for your man. 4. 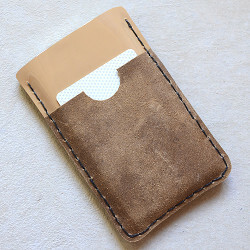 Gentleman’s iPhone Case – It’s up to you whether you want to go above and beyond and get him a hip and happening phone for Valentine’s Day (we probably wouldn’t), but this case can offer any older phone a stylish look that will make his device look brand new. Made from a masculine suede, this protective sleeve is both useful and aesthetically pleasing. Nothing says “I love you,” like a mechanism to protect your main means of communication between each other. 5. 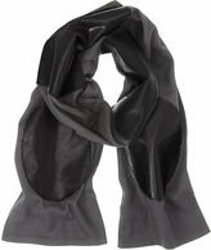 Leather Patch Scarf – Is he sleek and chic? We saved this sewing project for those that have a guy who enjoys looking good like you do. This sewn accessory is small and subtle enough to appeal to many tastes. 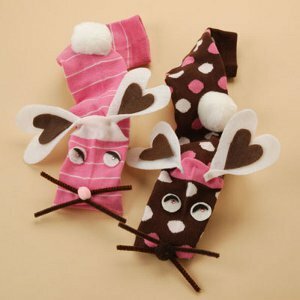 With strong leather embellishments he can associate you with a feeling of warmth whenever he wears this sweet scarf. What’s the best gift to give your man for Valentine’s Day? It is a month until Valentine’s Day. Are you excited? I know I am! Now, it is not because Valentine’s Day is my favorite holiday; in fact, it is far from it. I am chocolate lover and a fan of those sweet little candy heart with messages; but, even those things have not turned me into a Valentine’s Day fan. So why the excitement this year? Well, I cannot help being enthusiastic about this amazing collection of jewelry patterns for Valentine’s Day. 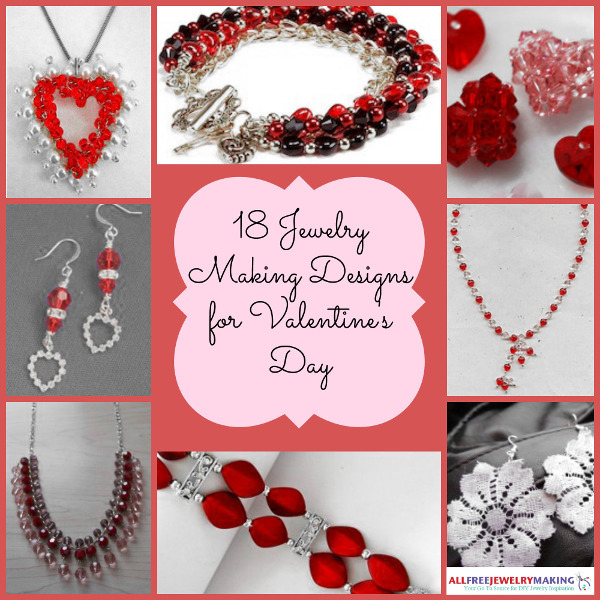 From cute crystal hearts to lacy heart earrings, there is so much to love in this collection of 18 Jewelry Making Designs for Valentine’s Day. AllFreeJewelryMaking has compiled a list of some spectacular necklaces designs and bracelet patterns for this festive occasion. So even if you are not a fan of the holiday, you can be excited about this group of stunning jewelry pieces. 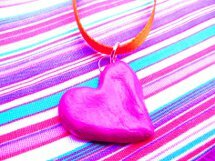 Whether they are for your friend, your love, or simply a gift to yourself, when you see these fabulous DIY jewelry projects, you are going to be a fan of this Valentine’s Day jewelry collection. 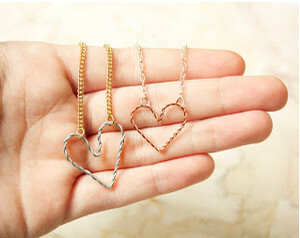 With these DIY necklace patterns, you will find a Valentine’s Day jewelry piece to suit your needs. If you are single and searching, grab someone’s attention with a homemade pendant. If your heart is taken, we have a sweetheart necklace piece for you. 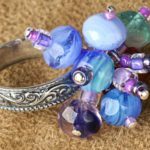 Not matter what your needs, these free jewelry patterns are sure to be great jewelry ideas for Valentine’s Day. If you want to go for a subtle, yet charming DIY jewelry piece for Valentine’s Day, then you cannot go wrong with a homemade bracelet. 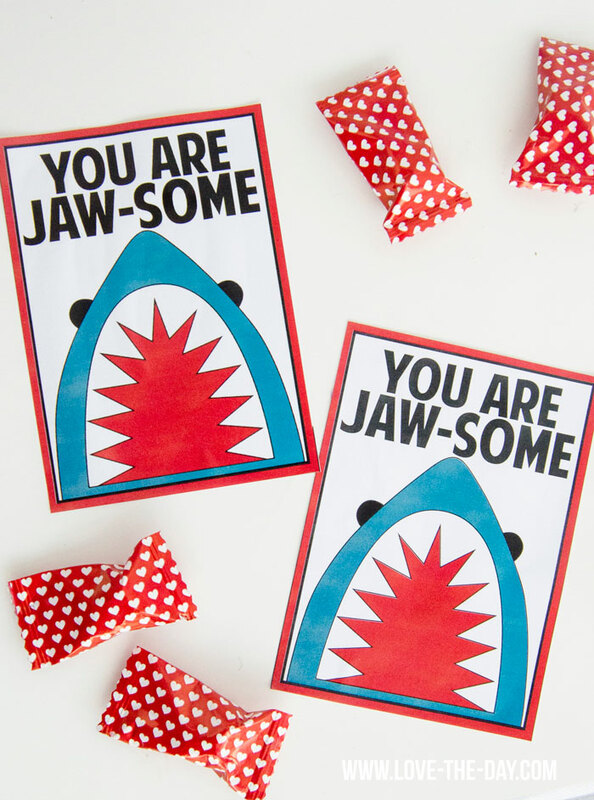 Complement your Valentine’s Day outfit with one of these gorgeous DIY projects. Whether your heart is already taken, or you are looking to snag a suitor, you’ll be enamored with these DIY earring sets. Homemade earrings are the easiest way to add a little bit of Valentine’s Day charm to any ensemble! 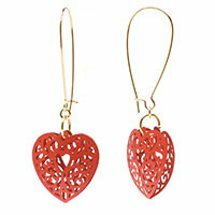 BONUS: Be sure to view the rest of the collection, and check out six of our new jewelry ideas for Valentine’s Day! 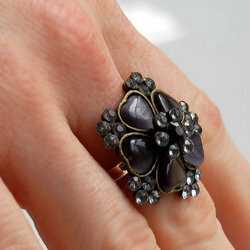 For more holiday jewelry and other stunning patterns, remember to visit AllFreeJewelryMaking.com. 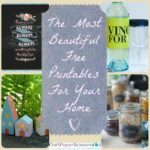 In the spirit of the season, we’ve gathered 33 Homemade Gift Ideas for Valentine’s Day, including gifts for boyfriends, romantic Valentine’s Day gifts to make for your husband, and cute handmade gifts for friends and family members. 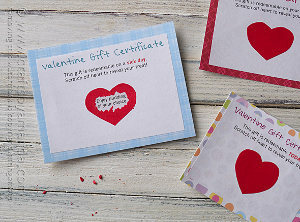 Show how much you care by making unique and personalized Valentine’s Day gifts for the special people in your life. Win Big!!! 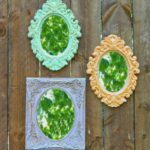 Do you love the DIY jewelry projects you see here, but don’t know where to start getting the supplies to make these fantastic pieces? We’ve got you covered. 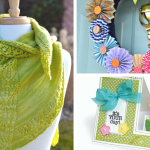 Enter the Prima Bead Beader’s Delight Box Giveaway! Two lucky winners will win these awesome beading boxes that contain supplies to fit your beading needs! The deadline to enter is January 21, 2014, at 11:59:59 p.m. Eastern Time. Valentine’s Day is fast approaching. 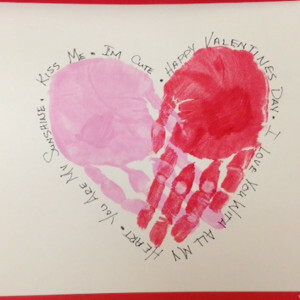 What inspires you about Valentine’s Day? Is it the love in the air? The romantic cards? The boxes of chocolate? How about simply the color red? Red is a staple color of the Valentine’s Day holiday season, which means that it is all over this time of year. Whether you like Valentine’s Day or not, you can be inspired by this bold and fun color. There are tons of red jewelry projects out this time of year. To help you find the perfect piece, we at AllFreeJewelryMaking have compiled a list of some of our favorite red projects. Find the right project for you in this crimson hue with these 5 DIY projects. 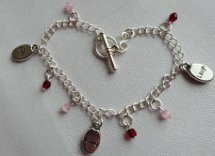 In the season where roses are red and violets are blue, you need to find the perfect homemade bracelet for you. That is where this Red and Gold Crystal Weave Bracelet comes in. You cannot beat its combination of tiny bold red crystals with bunches of gold seed beads. Still, if you are looking for a more regal piece, you can try this Rich Red Satin Bead Bracelet. While a classic bracelet is an simple way to add a splash of color to any ensemble, the easiest way is with a pair of DIY earrings. 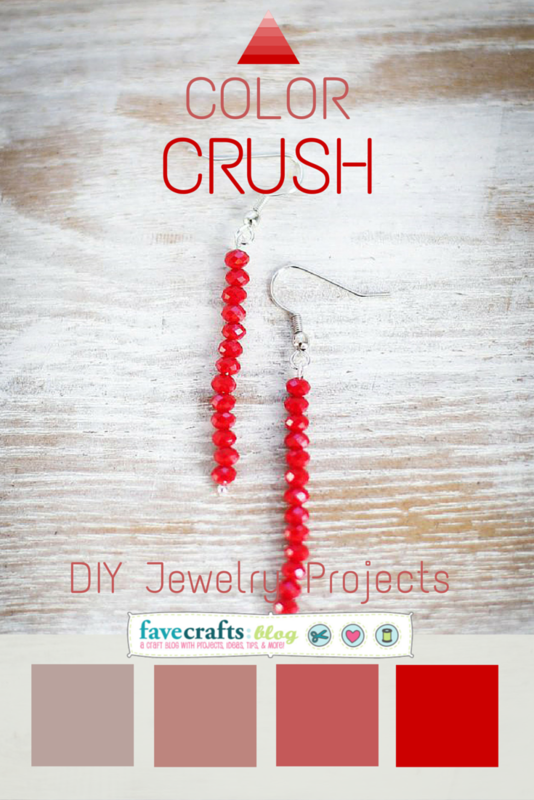 You cannot get much simpler than these 3-Minute Red Bead Earrings. Even if you are a novice jewelry maker, these easy-to-make earrings are a stellar way to add a little color to any outfit. Adding just a little bit of color is great, but maybe you want to go for a bolder look. If this is case, then a big statement necklace is probably more your style. Make a striking piece of DIY jewelry with this Lady in the Red Necklace. Sometimes one piece of jewelry is not enough. Complete a matching jewelry set with a luscious berry color. This gorgeous Red Jade Bracelet and Earrings Set adds a pop of red to any outfit. All of these DIY jewelry projects are great ways to incorporate red into your collection this season. 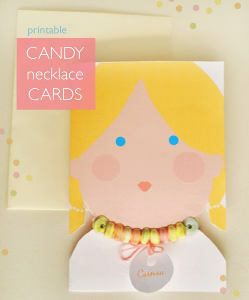 So enjoy this fabulous pop of color this winter and start crafting these fun jewelry pieces. 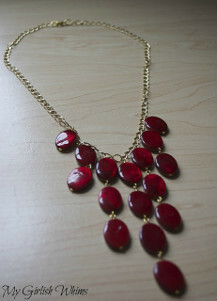 If you are interested in more red homemade jewelry, check out AllFreeJewelryMaking.com. Where have you seen red jewelry this season? It is almost time for the most romantic holiday of the year, and we are more than excited for it here at AllFreeHolidayCrafts.com! 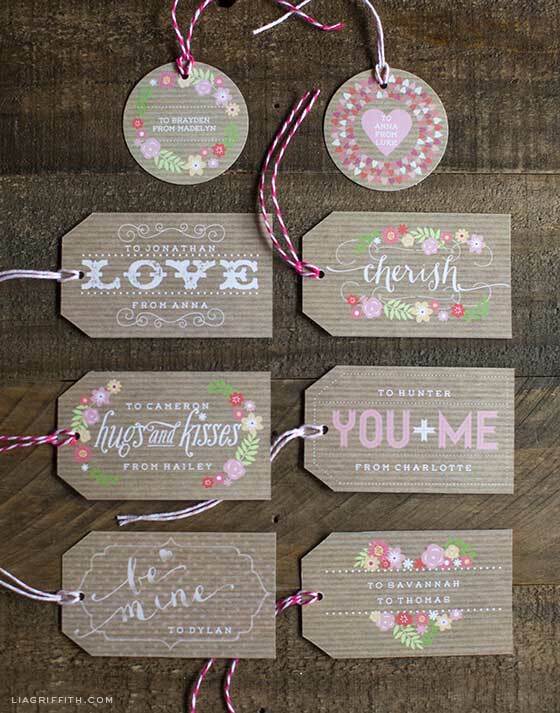 Valentine’s Day offers some of the most gorgeous home decor options we have seen, which is why we fell in love with this collection of 20 Handmade Valentine’s Day Decorations and are sure that you will too! From gorgeous ruffled wreaths to handmade Valentine’s Day banners to fluffy holiday pillows, this list contains the best of the best Valentine’s Day crafts that will give you a romantic holiday with a fun and flirty handmade touch. So go ahead and decorate around the house with one of our adorable buntings or banners, and cover up your front door with a frilly wreath to prepare your home for a little romance this February. Handmade wreaths are one of the easiest and most popular options for handmade holiday decor, and why wouldn’t they be? 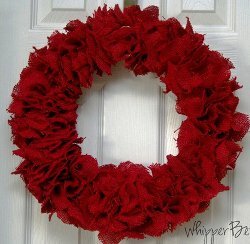 Simply adding a festive Valentine’s Day wreath to your front door will be sure to give your entire home a burst of holiday cheer! Our 20 Handmade Valentine’s Day Decorations lists 5 different wreaths that make perfect handmade Valentine’s Day decorations. 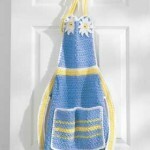 From ruffles to burlap, this list features a variety of styles suitable for any fashion sense! If you’re going to fall head over heels this season, you may as well have something adorable to rest your head on! 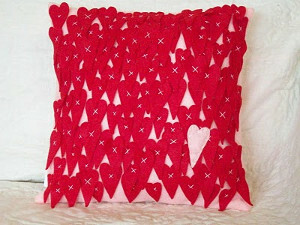 So go ahead and fall in love with these warm and cozy handmade pillows! 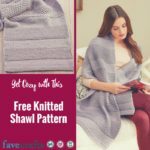 Whether you prefer to smother your couch in kisses with our Smothered in Kisses Pillows or pink and white hues like our Reused Rags Valentine’s Day Pillows, this list will give you plenty of favorable options. 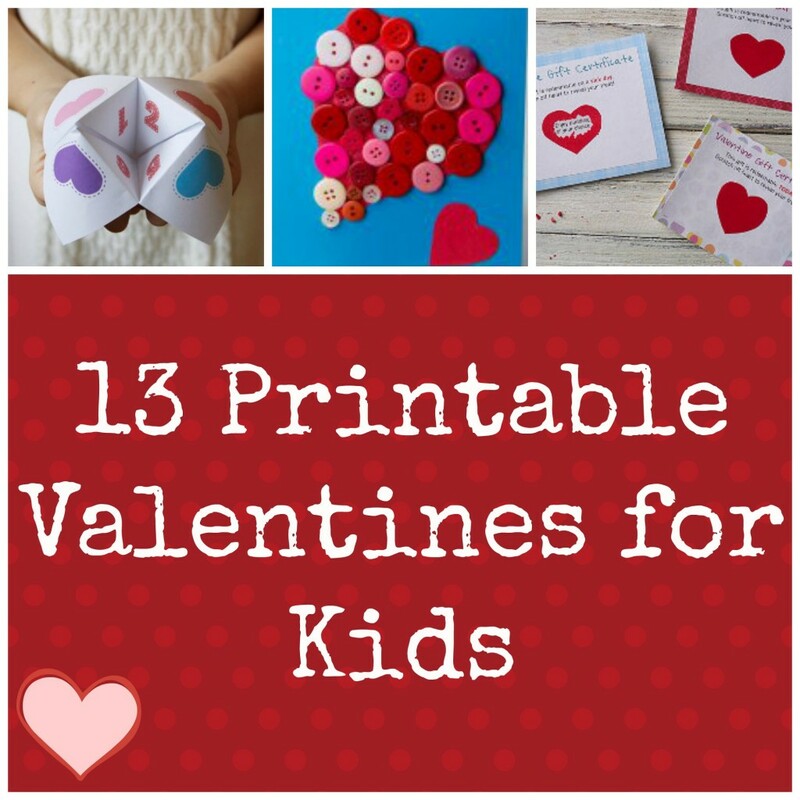 With a bit of creativity and the help of these 20 Handmade Valentine’s Day Decorations, you’ll be ready for Valentine’s Day in no time! 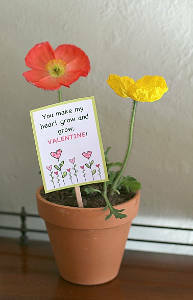 Go ahead and add a dash of darling decor to your home this year to show off your love for Valentine’s Day crafts. What is your favorite way to decorate for Valentine’s Day? 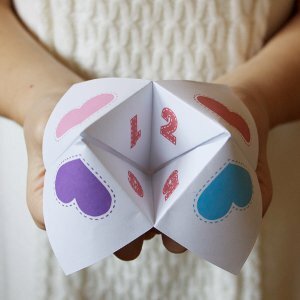 With Valentine’s Day coming up, crafters everywhere will be looking for some sweet and heartfelt gift ideas to make for their loved ones. The editors at AllFreeChristmasCrafts are very excited, because we’ve seen many wonderful Christmas crafts that would be just as thoughtful in February. You can make edible crafts, wearables, or even a personalized card with some special details to show your loved one you care. 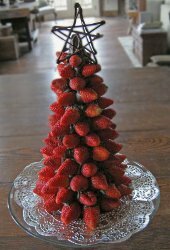 Strawberries and Chocolate Tree – Make a tree craft that’s both decorative and delicious. This is an unconventional approach to the standard chocolate covered strawberries gift that’s often considered very romantic. You’ll impress whoever receives this with how professional-looking it is, and you won’t have to worry about it taking up space during the rest of the year, because it’ll be gone before the night is over. 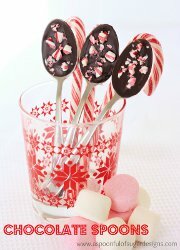 Bite Size Chocolate Spoons – There’s no better way to top off a nice holiday dinner than a minty, chocolatey dessert. 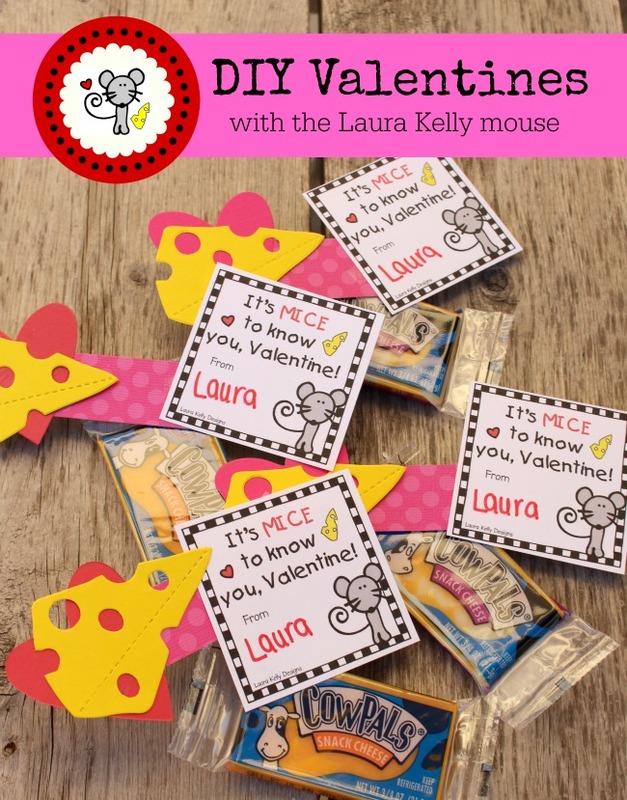 If you’re having a party on Valentine’s Day, these will be a great addition to your Christmas table, or you can give a box of them as a cute homemade gift. Not all chocolates have to break your bank! Something homemade will be much more touching. “We Love You” Jar – If you have little ones at home who you’d like to encourage to get into the spirit, or if you’d like to give them something special, this easy kids craft is a very popular choice for many crafters. All you need to do is cut up some paper scraps and come up with your best personal messages for whichever loved one will be receiving this. 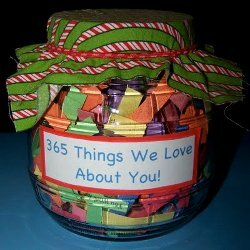 A jar craft like this is a simple way to teach kids the value of creating handmade gifts as opposed to buying something. 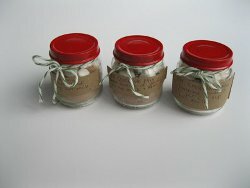 Single Serving Hot Chocolate in a Jar – Another great use for craft jars is one that cocoa fans will love. 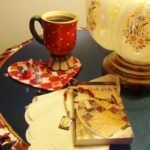 If you have a special recipe for homemade tea or coffee, you can easily switch those options in. Anyone who loves to start the day with a warm cup of something to drink will appreciate this so much, and they can refill it for every day use. Cocktail Ring – Jewelry is always romantic, but very expensive to personalize. 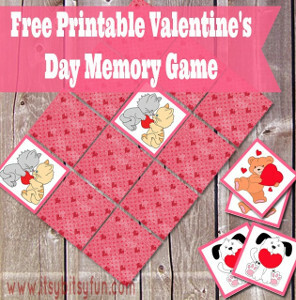 Now you can make something truly one-of-a-kind for your special someone with this very thrifty tutorial. You can find a look that matches their style and personality, making this piece of DIY jewelry one they will want to wear every day of the year. 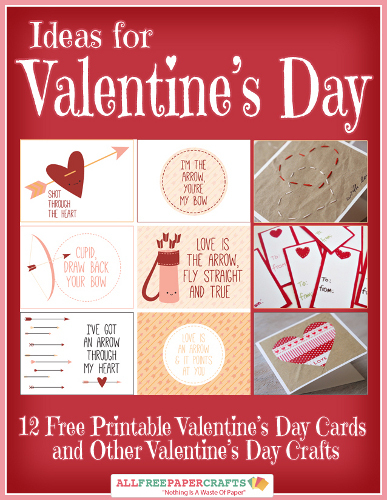 Center Step Card – One of the toughest parts of Valentine’s Day is finding a card that gets across your message of love and thankfulness without being generic. As a crafter, there’s no better solution than to make a homemade card, and this one in particular really pops with a 3D effect. 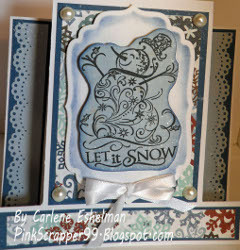 Design a personal message that you can make stand out with your choice of festive cardstock. What are you thinking of giving this Valentine’s Day?